Friends! As you know I'm currently taking some much needed mommy/baby/daddy time after the birth of our little one :) Aggg guys, we're parents!!!! So during this transition into our new season of life, I've invited some of my most beloved and dear blog friends to help me out, in the form of unique and wonderful guest posting! Today, I'm honored to have Rachel of Oh Simple Thoughts take over. Hi there, I am Rachel and I blog over at Oh Simple Thoughts. I write about my marriage, my passion for being in the kitchen, and my relationship with Jesus. I am thrilled to be sharing with you today as Christina is enjoying much needed time with her new little babe! What an exciting thing to become a mom. I don't know about you but I LOVE hot drinks. I am a sipper by nature and always have to have a drink in my hand to sip on throughout the day. Lately I have been on quite the chia tea kick. I drink it cold, hot, in latte form, and even order dirty lattes (lattes with a shot of espresso). 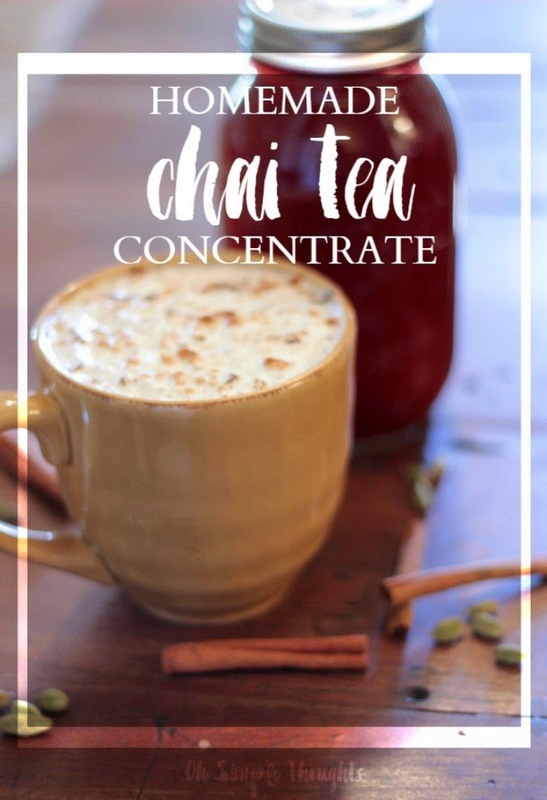 So rather than continuing to spend almost all of my "fun money" every week on fancy chai drinks I wanted to try to make my own concentrate. And it worked. This is a simple recipe that is so flavorful. The most challenging part of this recipe is finding all the ingredients, and the way grocery stores are these days even that part should not be too difficult. 1. In a medium saucepan over medium heat add water and honey until sweetener is completely dissolved. Add all of the spices and continue to simmer on low heat for 20 minutes. 2. Remove the mixture from the heat, add the tea bags, and let them steep for 10 minutes. 3. 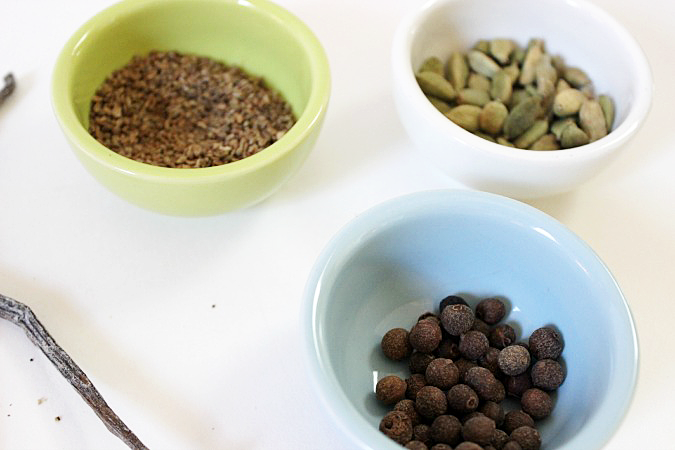 Strain out the spices and tea bags and store your chai concentrate in the fridge (it will last 2-3 weeks in the fridge). 1. Using a 1:1 ratio, add milk to concentrate and warm in a saucepan over low heat. Top with whipped cream and cinnamon! Enjoy (daily). 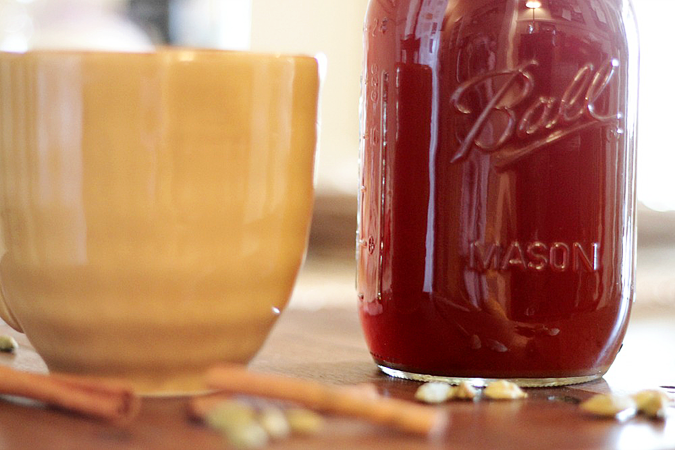 This is a warming drink not just because it is served hot, but all the spices make it a drink that warms up your insides as well as your outsides! I love it, and drink this almost as fast as I can make it. It is a must try! What is your favorite hot drink? Thank you so much Rachel! Gawwww! I seriously love chai tea, lattes, iced chai, etc. Love it so much! I've never heard of a dirty chai before, though! I'm so intrigued! May have to try that next. 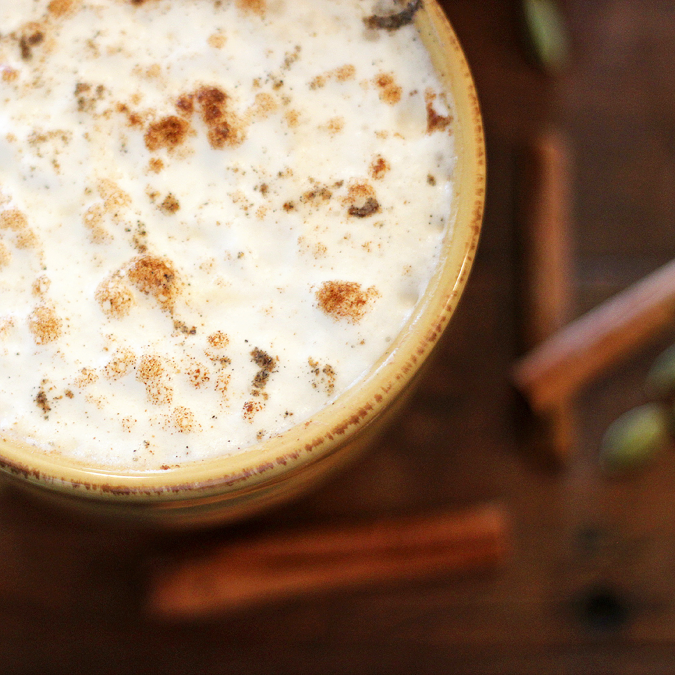 MmMmm, so craving chai now :) I am totally making a batch of this and keeping it in my fridge for all my chai needs. For more amazing recipes and inspirations, please check out Oh Simple Thoughts! Although I'm not around here as much as I'd like to be, you can still stay in touch (and ooooh and ahhhhh with me at HOW CUTE OUR BUNDLE OF JOY IS!!!) via Facebook, Twitter and my favorite- Instagram! Hello, I have made this frosting a couple of times and each time I make it it turns out very buttery tasting, any hints as to what I'm doing wrong? Or is it supposed to be buttery.